In the future, technology will usurp us from our jobs. Legions of robots will take our places, doing our work more accurately and more efficiently than we ever could. The clattering of keyboards will be replaced with smooth mechanical whirring echoing in warehouses. Half of Americans will be out of work as their jobs are computerised. And that's only in the US - across the world, people will be replaced by machines as companies try to cut costs. It seems like a bleak future, doesn't it? But if you look at the whole picture, it is estimated that 2.6 jobs will be created for every one lost to computerisation. Forget the rise of the machines, this is the rise of the people. Not just any people though, people with digital skills and the knowledge to manipulate technology. Maggie Philbin, a TV presenter known for heading up Tomorrow's World and more recently Bang Goes the Theory, is chair of the UK Digital Skills Taskforce. She recently contributed to a report investigating what needs to be done to help people in the UK develop their digital skills. 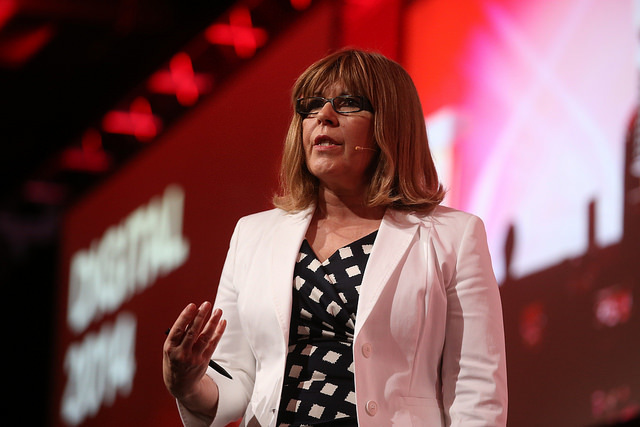 Maggie Philbin is working to improve the way digital skills are taught in the UK. "Technology is changing every aspect of our lives. From health to transport, cyber security to food security, from the world of arts to the world of science. "It transforms how we keep in touch with friends and families, how we work, how we we enjoy ourselves, how we engage politically and how we make sense of the world. Digital skills are not only needed by companies operating in the digital space but by all companies." In September, the dated ICT syllabus will be replaced by a new Computing curriculum in schools. Children as young as five will be taught computer science. Philbin says: "It is an important step in the right direction but needs to be given much more financial support to help train teachers with little or no experience. Not only for the launch but over the next 10 years. The provision for training teachers who are embarking on what is for many a completely new subject is completely inadequate." It's not only schools that can help children get to grips with technology. 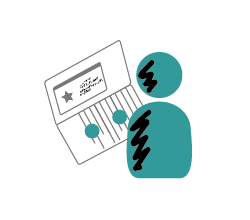 Philbin says: "Parents are hugely influential when it comes to offering advice on subject choices and possible career choices - so making sure they are as well informed as possible is really important. "It's great to encourage children to move on from enjoying playing games to building them. 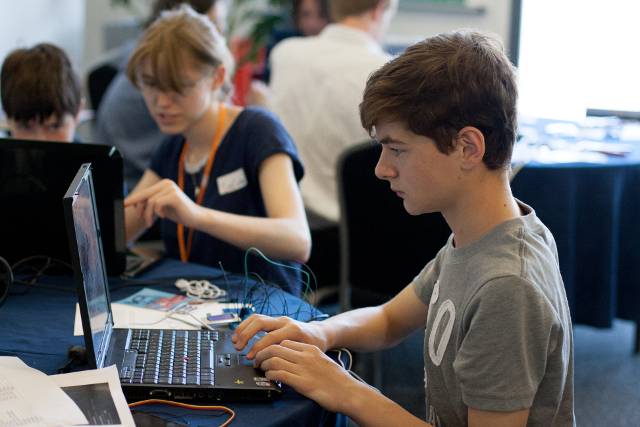 Encouraging them to join tech clubs or taking them to CoderDojo sessions is one way of providing external support for activity which might be patchy in schools." However, Philbin notes that many parents don't know about the opportunities available for young people, as they think digital skills are unimportant. She says: "Sometimes I think it's best for all parents to recognise we only understand a fraction of the opportunities and be mindful we often have outdated understanding of work opportunities. Some parents have an understanding of the emerging industries but many do not." Although she is frustrated by a lack of action, with many reports being written in the past to no effect, Philbin hopes to make a difference as part of the Digital Skills Taskforce. She was struck by the lack of funding for teachers to improve their skills, saying: "I very much hope that we see teachers being given more support to develop their knowledge of computing and for the status of teaching to be appreciated." 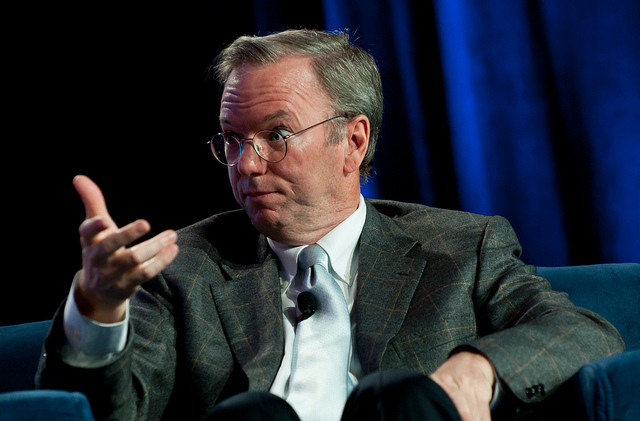 Eric Schmidt, Chairman of Google, said the UK needs to invest in computer science education. "Your IT curriculum focuses on teaching how to use software, but gives no insight into how it's made. That is just throwing away your great computing heritage." These strong words were spoken back in 2011 by Eric Schmidt, Chairman of Google, at the Edinburgh Television Festival. Schmidt urged the UK to start teaching computer science to children in order to encourage technical innovation. This September, a new Computing curriculum will be taught across schools in England - a long-awaited reaction to Schmidt's call to arms. As a result of a review announced in 2012 by former Education Secretary Michael Gove, the current generation of schoolchildren will be launched into a curriculum incorporating computational thinking and digital skills. Children will learn the theory behind computers and how they work. They will also do practical work in the form of computer programming. The original IT curriculum has been revamped to make it relevant to the modern world. Students will create programs, systems and content in order to solve real-world problems. Pupils will be taught to use technology safely and effectively. They will build their confidence so that they can make use of their digital skills in the workplace. While some work is currently being done to teach computer science at schools, the new curriculum will be a starting point for many schools to begin teaching digital skills. Rawlings also raises the point that only some teachers who currently teach ICT came from a Computing background - many do not have the knowledge or experience to teach the new curriculum. Teachers aren't alone though - there are plenty of resources available to help them build their subject knowledge, like those offered by Computing At School (CAS). CAS is a group that provides a support network for teachers. Claire Davenport, CAS Regional Hubs Support Coordinator, says there are plenty of ways CAS can help teachers like Rawlings and Sharp. The CAS hub network lets teachers at both primary and secondary level get in touch with colleagues and hone their skills by sharing their knowledge. As well as talking to colleagues face to face, Davenport recommends that teachers should join CAS for free and make use of the community forum. She says: "The forum has over 13,000 people willing to support, help and provide advice for all teachers." While teachers like Rawlings may be concerned that the new curriculum is too focused on programming, Davenport says: "There is more to computer science than programming. It incorporates techniques and methods for solving problems and advancing knowledge, and includes a distinct way of thinking and working that sets it apart from other disciplines. "The role of programming in computer science is similar to that of practical work in the other sciences - it provides motivation, and a context within which ideas are brought to life." There's no denying that there are far more men working in engineering and technology than there are women, but this imbalance doesn't start when people go into employment - girls stop considering careers in ICT and Computing as early as secondary school. Research published in School Science Review found that girls taking GCSE ICT were put off from taking ICT or Computing at a higher level because of how boring the course was. One student said: "It's just boring, I just don't find that fun; I don't know how it's going to help me." Although nearly 50% of GCSE ICT students were girls, research shows that students of both genders find the material dull and this affects how likely they are to take ICT or similar courses at a higher level. Girls become more outnumbered by boys at A Level, as far fewer of them carry on with Computing or ICT. Only 7% of Computing students were female, while 38% of ICT students were female. Since 2008, only around 20% of students on Computer Science courses have been female. Thomas Hancock from Robogals suggests this is due to biases at school level, where girls are funneled away from STEM subjects. 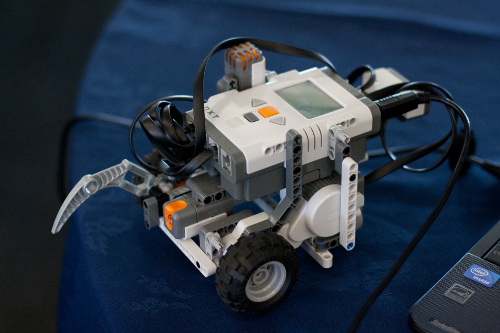 Lego Mindstorms robots are a fun way for young people to learn about engineering. The kits contains modules to make robots, which can be programmed to walk, talk and move. At secondary school level, outreach is being done to encourage girls to take up technology subjects at university. The international Robogals organization runs workshops at schools for girls, teaching them to program Lego Mindstorms robots. Robogals started life as a student club at the University of Melbourne in 2008. It was brought to the UK in 2009, when one of the founders spent a year at Imperial College London. From there, more Robogals chapters sprung up, spreading the concept of science and engineering workshops for girls to many countries. University students, both male and female, can join Robogals to help engage with young people and get them interested in engineering. Although work is being done to keep girls engaged in tech, women already in the industry can feel out of place and alienated. Luckily, back in 2005, Girl Geek Dinners (GGD) was founded in London to provide a support network for women. The movement spread across the world, with groups set up as far afield as Vietnam and Quebec. The Bristol Girl Geek Dinners group has been going strong for the last four years, with events hosted at a range of partners, including Nokia Bristol, Airbus and the Bristol Robotics Laboratory. 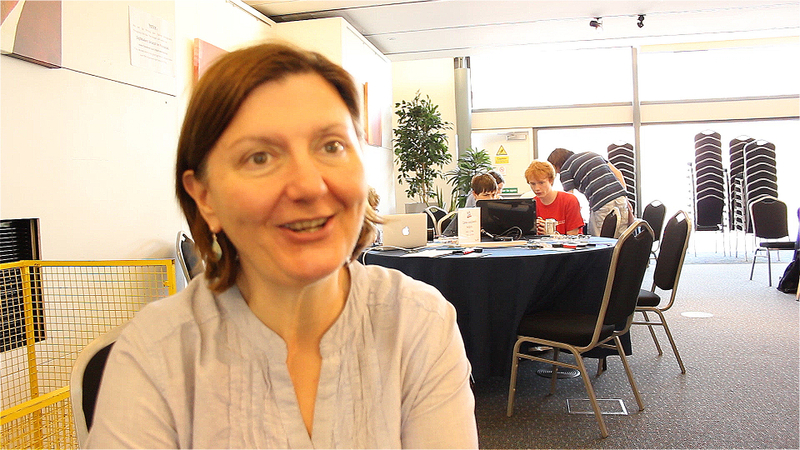 Maria Felice, who is studying for an engineering doctorate, helps organize the Girl Geek events in Bristol. She says GGD events have proved successful because they are more informal and flexible. She adds: "You can come on your own and just talk to anyone. At work a lot of us are outnumbered by the men, it feels like the men speak more, while at GGD events women feel more confident asking questions. "Normally I feel really self-conscious at work, like I'm waving a flag for women. If I make a mistake it will mean more than a guy making a mistake." But GGD isn't just for women. Felice says: "On the whole, having guys attend is fine. They should be invited to the events because they need to come and hear the female point of view." The events showcase the work of women in technology, with a speaker talking about a subject of their choice. The latest dinner was hosted at the University of the West of England and featured Janice Kiely from the Institute of Bio-Sensing Technology. Felice says: "Girls in industry don't feel like they have role models - who can they look up to?" GGD aims to solve this problem by providing women with an opportunity to find out more about areas of technology that they don't work in themselves. But what about women who don't have technical experience, and feel like they have missed out? Hazel Ho struggled to get into programming, finding that she missed the social aspect of learning that she was used to at school. Ho found other women who wanted to learn to program through Bath Girl Geek Dinners. She discovered that they all had similar problems with staying motivated while learning to program on their own. Ho says: "They wanted to learn but it was just really hard to actually get up and get started. So I decided to start up a group, She Codes Bath, that would serve as the social aspect where you could have each other as a support group." Ho says: "We've just discovered that in all of our jobs, the common theme is that no matter what our background is, we need to have computer programming knowledge in order to excel or at least have a competitive edge against other people." "For females, the social aspect is a lot more important," says Ho. She mentions her business partner, saying he is happy to sit and code for hours on end and not talk to anybody. "I have a problem with that, and the others do too!" When I ask what's next, Ho insists that she intends to keep the club as a small local operation. She says: "I just want to provide an environment where girls can come together and learn. I want this to be a platform for people to achieve things that they've been thinking about, nagging at the back of their mind." As well as the national and international movements to encourage children to learn about computer science, a lot is being done at a local level. In the South West of England, there is plenty of outreach happening across the city of Bristol. 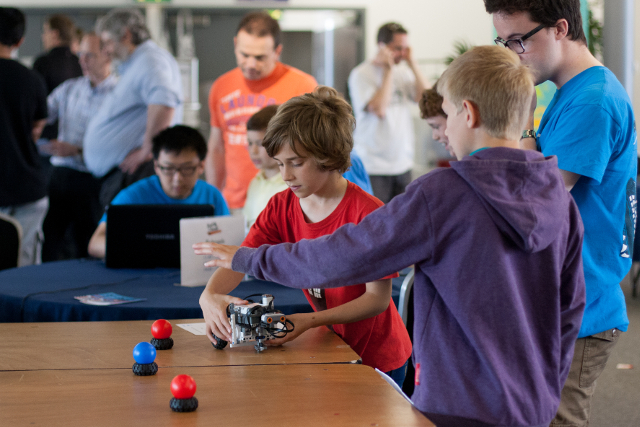 From robots to tiny traffic lights to banana keyboards, children can get involved with a variety of workshops at Digimakers events throughout the year. Digimakers is organised by the University of Bristol in collaboration with the British Computer Society and takes place at the At-Bristol science and discovery centre. 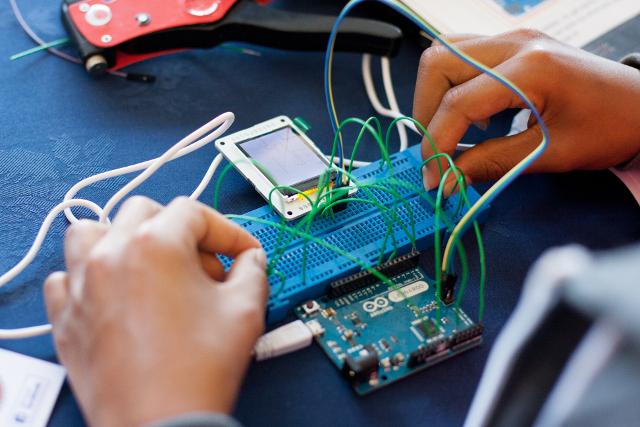 Children can sign up to different workshops, all based around making things with technology. 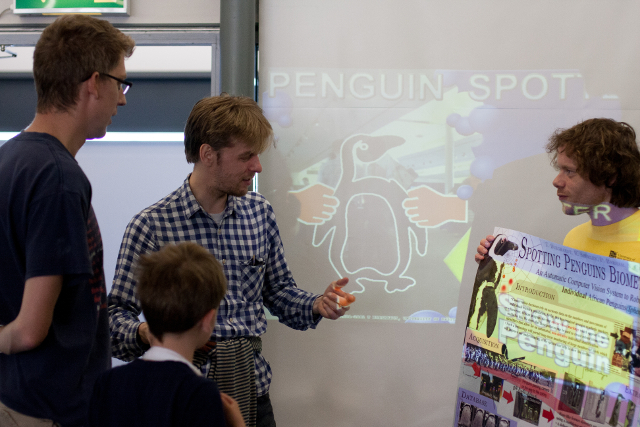 The latest event happened on 14 June, to tie in with the Bristol Festival of Nature. According to Marshall, the workshop has been a success: "The kids have loved it! It's been challenging for them, and some of them have found that the worksheet is a bit hard to follow so they've just gone off and done their own thing - which is absolutely fine anyway, because they're experimenting and learning from it." The Raspberry Pi is a low-cost computer that was launched in 2012 by a UK charity to promote computer science and help children learn programming. 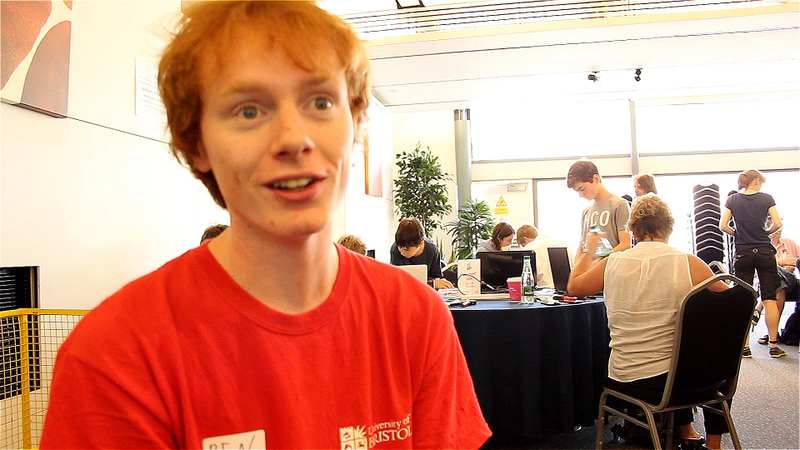 James Kennaby at Knowle West Media Centre says: "Raspberry Pis are interesting - they're limitless really. You can do things like setting up Minecraft in five minutes to setting up full websites, or making them into musical instruments. They're so small that anyone can look inside and it doesn't look scary - unlike if you opened up a Mac." Other workshops used Raspberry Pi computers. Children could learn to control miniature traffic lights using a simple programming language, or create music using the Sonic Pi programming environment. Not all of the workshops need special hardware. 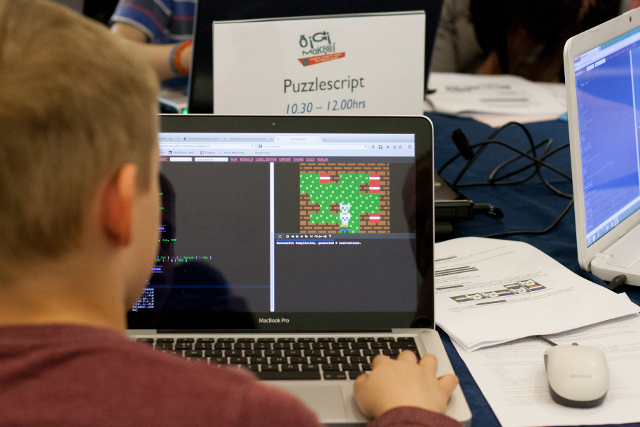 Creative developer Mark Wonnacott led a session using Puzzlescript. Wonnacott says: "Puzzlescript is a web-based tool for making a specific type of game. It's mostly suited to grid-based puzzle games where you are a character that moves around a world. "It's designed to be quite accessible to non-programmers. Children can learn to make their own Puzzlescript games in an hour or two. It's a good introduction to writing code a computer can understand." Why should children and young people learn about computer science? James Kennaby, a Digital Producer at Knowle West Media Centre (KWMC), has the answer: "This is their generation, built on tech. Young people are growing up with phones, computers, tablets. For them, this is their future - their jobs will involve technology in some way, even if it's the most basic admin role. Even our binmen use iPads to plan routes." 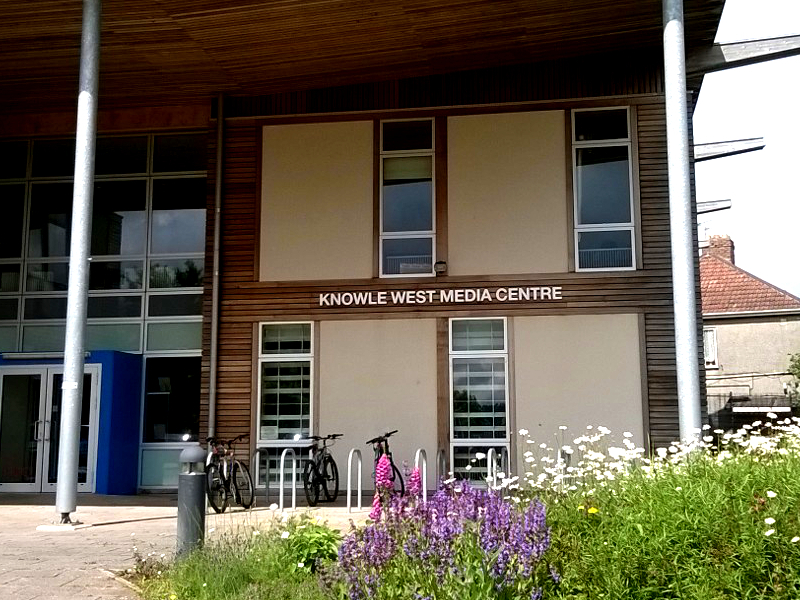 Knowle West Media Centre is an arts organisation and charity that helps local people use digital technologies. 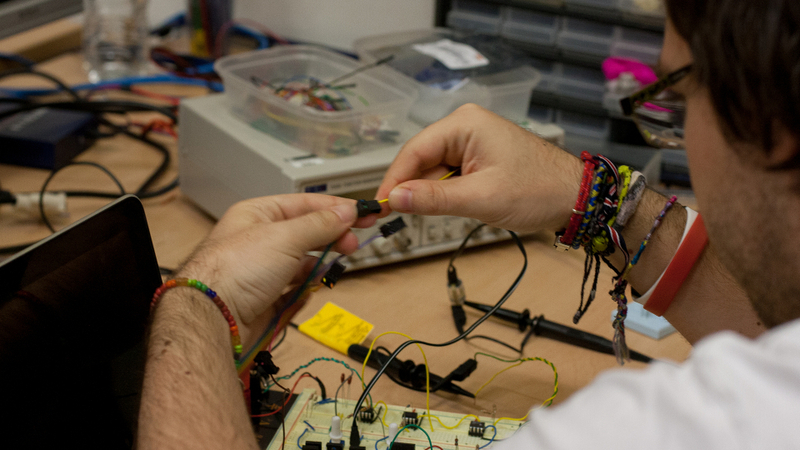 KWMC, set in the south of Bristol, hosts a variety of projects aimed at getting local people involved in technology and arts. 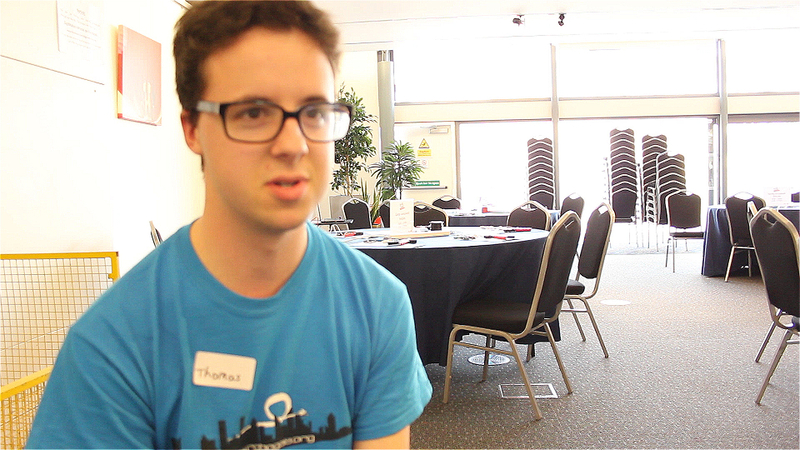 Kennaby runs technology outreach schemes for children, drawing on his experience teaching Scratch in a school. 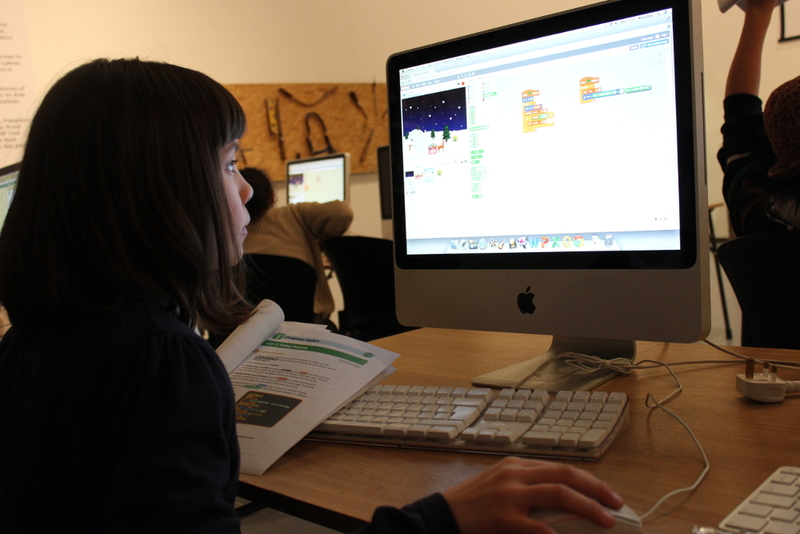 Scratch is a free programming language developed at the MIT Media Lab, designed for 8 to 16 year olds. Unlike other programming languages, Scratch uses drag and drop building blocks, which makes it easy for children to start making all sorts of things. George Rowe at Aardman Animations says: "Scratch is great. Obviously it has its limitations, and you don't have the benefit of learning syntax, but it's actually pretty powerful and lets you do a lot of things, and has enabled thousands of kids to start mucking around with programming when they otherwise wouldn't have been able to. And it's free!" One of the schemes Kennaby runs is an after school computer club, Control-Alt-Delete, that is held weekly. 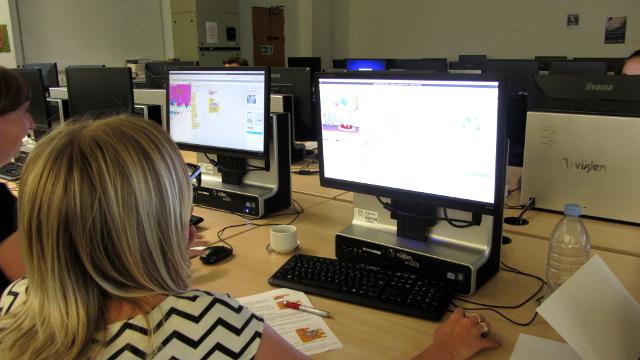 Children are taught to code using Scratch using the Code Club format. Code Club is a non-profit organization that creates resources for use at volunteer-led coding clubs for children. Kennaby notes that Hour of Code, which aims to introduce people to computer science, has also worked well, keeping the sessions accessible and fun. He says: "Hour of Code and Code Club keep technology relevant to young people with themes like Angry Birds and zombies, using things like Facebook and Windows as reference points." 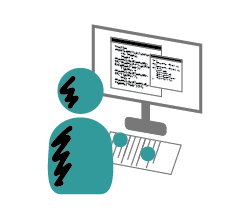 Most of the young people who attend Control-Alt-Delete have not much, if any, prior experience with coding. 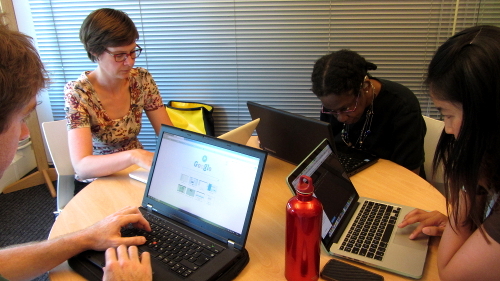 A couple may have played with Scratch before, as it is increasingly being taught in secondary schools. 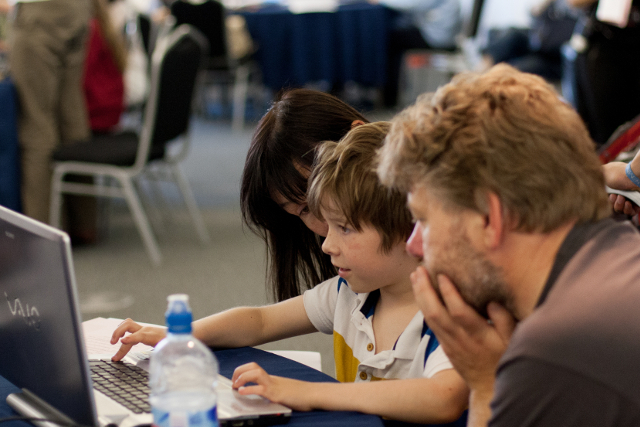 Although Scratch allows children to start with the basics of coding and build up their skills, not everyone is ready to start coding; Kennaby says: "In some cases there is quite a surprising lack of knowledge - not knowing basics like right-clicking, so our sessions also help with that side of things." A girl creates an animation at the Control-Alt-Delete afterschool club. As well as the after school sessions, there are Art vs. Tech workshops during half term. The last session saw young people using GPS tracking with camera drones to create art. Kennaby is hoping to introduce augmented reality in the next Art vs. Tech session. He says: "We challenge ourselves to get more going on each time. We just want young people to be excited by technology. We're not assuming we know what they want, so we try and introduce them to as many things as possible." KWMC has also set up a partnership with New York-based littleBits, who have made an open source library of electronic modules that snap together with magnets. Kennaby says: "It's a new form of a computer science kit to make circuit boards, to make creative projects that young people can get involved with. littleBits explains circuits and computer science in a fun way - if our science lessons were like that when we were little, we would have loved it!" 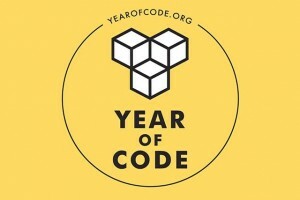 The Year of Code campaign aims to get people to start programming. As a charity, KWMC relies on external funding to support its schemes. Kennaby says: "We need funding to do bigger things, to get as much kit in as possible." He is optimistic about the future of KWMC's technology outreach. "By September, more funding will come in as a result of the announcement of the Year of Code. We were doing outreach before the announcement, but it is going to help our cause." Over summer, Kennaby plans to run Minecraft days using Raspberry Pis. 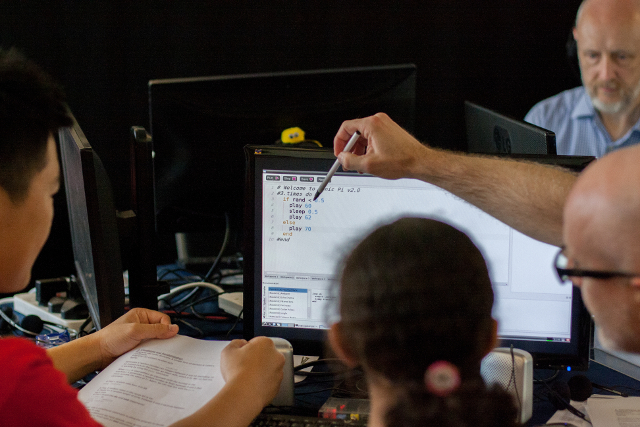 "Kids are all obsessed with Minecraft at the moment, so we can teach them coding through that." There will also be a games night celebration at the end of July so that the young people can get an idea of all the different things that have taken place.Variety is key; as Kennaby says: "Even if the young people are not interested in programming, they are interested in technology. And technology does affect every element of their lives whether they're aware of it or not." 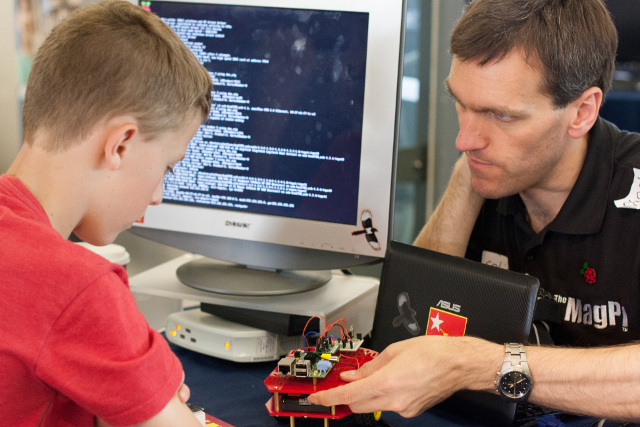 As well as workshops that children can attend in person, there are other ways they can get involved with computer science. Bristol-based Aardman Animations have set up a game programming competition for children, in collaboration with Nominet Trust, a technology charity. Children can use Scratch to create games based around Shaun the Sheep and submit them to the competition for a chance to win a day at the Aardman Animation studios. George Rowe, Digital Producer at Aardman Animations, oversaw the development of Shaun's Game Academy. He explains that Aardman had previously done a project where thousands of children contributed to making a film, and they wanted to do a similar thing with a computer game. "We realized that there isn't really the community of young kids who know enough about game design and coding to make this possible, so we wanted to help grow and educate this community, and this is what led to Shaun's Game Academy. 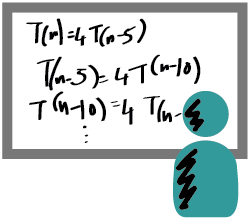 "They might not realize it, but by learning how to make Shaun run, jump around and collect things they are learning about game loops, functions, variables and the like. 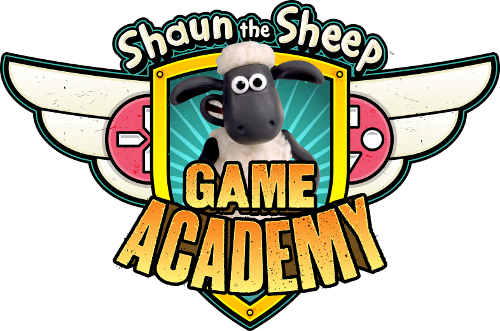 We're hoping that using Shaun the Sheep will appeal to kids who might never have thought about programming or games design otherwise, and they might decide that they like it!" Rowe shares Kennaby's belief that it is important for children to learn programming in a digital age. He adds: "If you have the talents to manipulate technology to do what you want, then you can realize your dreams, passions and ideas in ways that others can't."